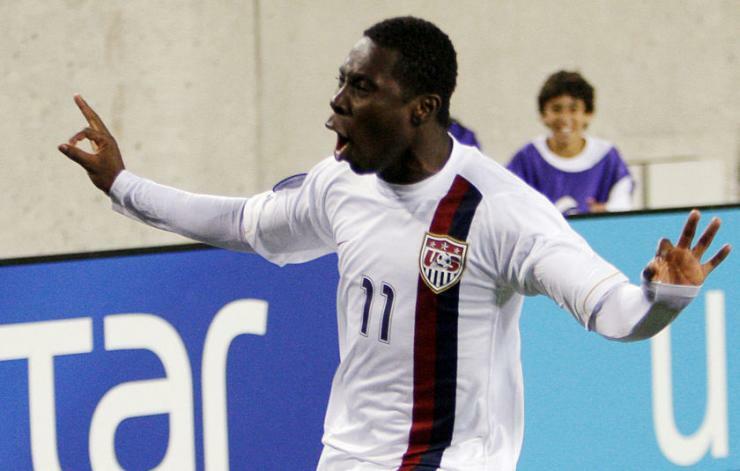 On the face of it, the Adu mania was simply a familiar exercise in sports hype. European pundits have pronounced so many young players “the next Messi” that you could fill several rosters with short, skinny, burned-out attacking midfielders. The American media went crazy for New York Knicks point guard Jeremy Lin, before quickly shifting its attention to the next athletic sensation. But the Adu coverage was different. He wasn’t expected to merely score goals and win silverware. He was supposed to singlehandedly transform American soccer, to convert a nation of hotdog-munching NFL fans into true believers in the beautiful game. We now know that Adu’s mission wasn’t just impossible. It was also unnecessary. His gradual disappearance into the void occupied by once-praised-now-forgotten players – a long, painful journey that took him from from Portugal to France to Turkey to Greece to Brazil to England to Norway to Holland to Serbia to Finland – has occurred against the backdrop of tremendous progress in American soccer. The US men’s and women’s national teams are attracting record TV audiences. MLS has accumulated an impressive array of big-name European players, some of them still in their prime. And American media outlets, from niche publications to the Worldwide Leader, are covering international soccer with an enthusiasm and curiosity that seemed unimaginable less than a decade ago. Turns out that the United States didn’t need a spectacularly talented American superstar to propel soccer into the mainstream. The game’s rise happened largely on the Internet, fueled by the rise of social media, immersive podcasts and the blogosphere. The FIFA videogames have brought foreign players and the English commentators who shout about them into the living rooms of millions of American teenagers. It was a confluence of interrelated forces, not the heroism of a superstar goal scorer, that finally gave soccer a foothold in the American consciousness. Still, the US national team could certainly benefit from the services of a transcendently skilled attacker. We are fast becoming a nation of soccer-lovers, but Jurgen Klinsmann’s team, which has looked somewhat jaded in recent games, will not win the 2018 World Cup with Jozy Altidore and Chris Wondolowski leading the line.